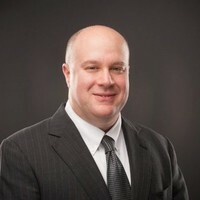 Richard Weiss is the Chief Compliance Officer of International Assets Advisory. Prior to joining IAA he held various senior compliance roles at Cantella & Co., Inc. Mr. Weiss was at Investors Capital Corp. from 2004 to 2015. From 2014 to 2015, Mr. Weiss was VP of Legal & Compliance, he was responsible for oversight of all matters relating to supervision, including home office OSJ’s and approximately 500 registered representatives and 350 branches. From 2010 to 2014 he was VP of Legal & Senior Legal Analyst, where he was responsible for case evaluation/analysis of arbitrations and served as the Firm’s corporate representative at mediations and arbitration hearings. Prior to his roles in compliance & legal he was a Managing Director (OSJ) for the south east region. While at Investors Capital he was a member of the Firm’s Management Team and Risk Committee. Mr. Weiss started his career in 1993 with Tucker Anthony in Boston. From 1997 to 1999 Mr. Weiss was co-head of option trading at Wedbush Morgan in Los Angeles. From 1999 to 2002 Mr. Weiss was an OTC market maker with Olde Discount Brokerage in Detroit. He is a former Director for the Detroit & Michigan Traders Association. Mr. Weiss holds the following securities licenses 7, 8, 24, 55, 63, 66, 79, 99 & in 2010 obtained the CRCP designation from the FINRA Institute @ Wharton. He is a 1995 graduate of Northeastern University. In his spare time he enjoys vacationing with his family and restoring arcade games from the early 1900’s.